Members are municipalities across Ontario, and we have been an Affinity Partner for more than six years. Members receive a discount on The Checker, which is used for all departments, such as roads, parks, fire, waste, marinas, and arenas. We work with each municipality to develop Checklists specific to its needs. 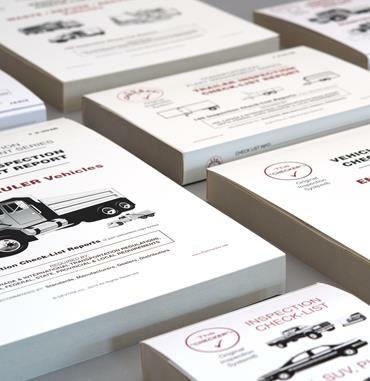 The Checker has been supplying Canadian Tire Dealer members with inspection checklists for their equipment and vehicles for over four years, and also offers all members special pricing. Canadian Tire Retail and its Dealers together form Canada’s most-shopped general merchandise retailer, with over 487 stores from coast to coast. Canadian Tire offers customers a unique mix of products and services through three specialty categories – automotive parts, accessories and service; sports and leisure products; and home product. We will gladly work with other associations across North America to help with members' inspection, safety, and compliance needs. Please contact us if you are interested in partnering with us to supply your members with our Checklists at discount pricing. We can work with you to develop Checklists that are specific to your membership—for any type of equipment, vehicle, or any other assets.